Product prices and availability are accurate as of 2019-03-15 08:23:29 UTC and are subject to change. Any price and availability information displayed on http://www.amazon.com/ at the time of purchase will apply to the purchase of this product. Paula Deen's newest stoneware is crafted In a unique hobnail design, this stoneware casserole is designed to bake and entertain Southern style. Each stoneware casserole is uniquely glazed so that no two pieces are alike. Her stoneware is designed for oven, microwave, refrigerator and freezer use. It's also dishwasher safe and oven safe to 500-degree farenheit. 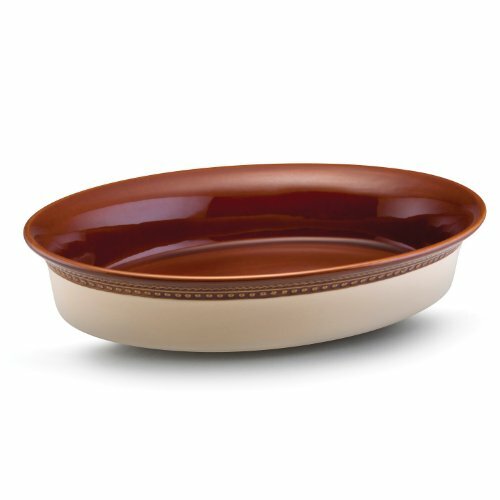 Crafted in a unique hobnail design, this stoneware au gratin is designed to bake and entertain southern style. Each stoneware au gratin is uniquely glazed so that no two pieces are alike. Ideal for prepping, baking, serving and reheating. Designed for oven, microwave, refrigerator and freezer use. Dishwasher safe and oven safe to 500-degree farenheit.